Gaslighting from the occupant of the White House. 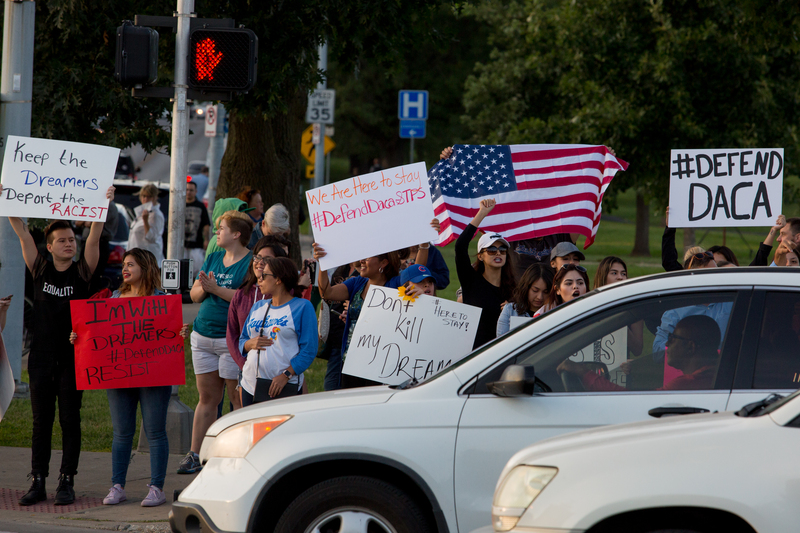 Demonstration in support of DACA – Kansas City – September 5, 2017. He thinks we’re all stoopit. DACA (Deferred Action for Childhood Arrivals) was the Obama era directive giving close to 800,000 individuals who entered the country as undocumented minors deferred action on deportation. A reply from the ACLU. So, republicans control the U.S. House and the U.S. Senate. There’s a republican administration in the White House.